Today we will you give you some guidance on how to find a professional carpet cleaner. Do you want your carpets cleaned? But with so many potential carpet cleaning companies, are you confused to know which way to turn? Furthermore, how do you know you are getting an honest and professional clean? A few years ago, BBC Watchdog exposed the “Bait and Switch” technique; this is where a cleaner gives you a low price over the phone to get you to book the job in and then, when they arrive to do the job they use high pressure tactics to get you to pay more if you want it cleaning properly. It’s as if you were buying a car and found that the dealer was charging you extra for the tyres and steering wheel!! Carpet cleaning is not as cheap as some unethical carpet cleaners would like you to believe. 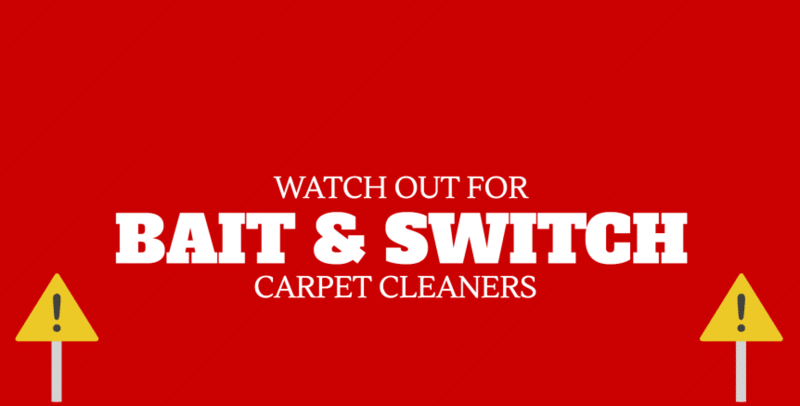 So how do we avoid the ‘Bait and Switch’ Cleaners? Recommendations – Which companies do your friends/relatives recommend? This may be one way of choosing a genuine professional cleaning company. Indeed a lot of our new custom comes via this route. NCCA – Look for a company who belongs to a recognised specialist trade body such as the National Carpet Cleaners Association (NCCA). Members are required to attend training courses and prove they have FULL insurance cover as part of their membership criteria. Cleaning methods – Beware of dry cleaning methods – which use dry foam, dry chemicals and dry compound – as these do not rinse your carpet in any way… Instead, they may leave a dirty residue! These can be good maintenance methods to keep the carpet clean, but you have to use them every few weeks. The most effective cleaning method is hot water extraction, which is the most popular method used today. Hot water extraction means a hot water cleaning solution, under high pressure, is forced into your carpet and then sucked out of your carpet. Careclean Essex prides itself on its professional and quality service. 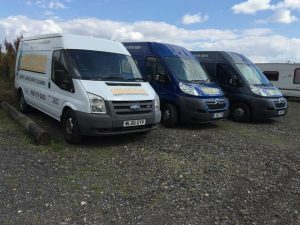 We don’t bait potential customers with price; instead we offer potential customers a free and honest quote, whereby we assess their cleaning needs, and produce a healthy home report, offering various cleaning options. Customers can look over this in their own time to make the correct decision for them. Give Careclean a call today on 01245 323989 to book in your free quote.